‘Tis the season to throw a party! Making those fun festive décor choices might be a little tricky and overwhelming. Here is a guide to choosing the perfect, simple holiday pieces that will make your event feel special and full of love. 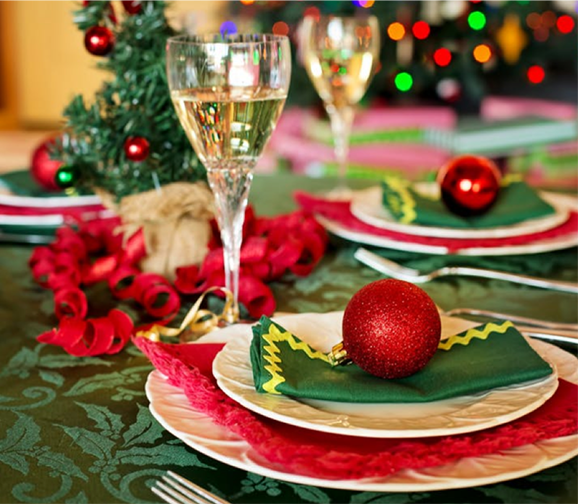 Are you the host of a Christmas party this year? Don’t worry, we’ve got you covered. 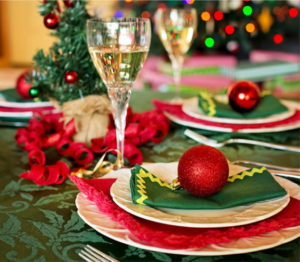 Choosing the perfect Christmas table décor can be difficult. Any great décor expert knows that selecting your color theme is a great way to start planning. There are infinite choices, from contemporary rose gold to winter white. We suggest keeping it simple by using traditional colors such as gold, green, and red. Top it all off with a cute ornament for your place setting. Your guests can take them home and hang them on their tree, reminding your loved ones of all the years you’ve spent Christmas together. When it comes to that intimate holiday get together with friends and family, you want people to fill comfortable and loved. Deep reds combined with candlelight is the perfect way to achieve a cozy, warm vibe. 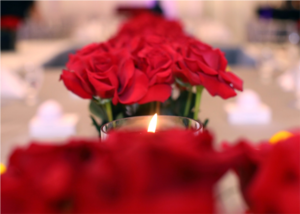 Nothing spreads holiday spirit more than being surrounded by red roses like these and warm tea lights. Bonus points for holiday themed scented candles! Having a winter wedding? This is the perfect holiday themed wedding cake for your occasion. 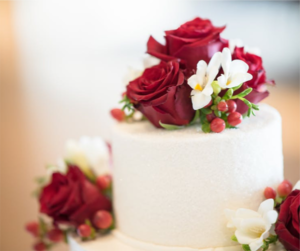 A simple clean white palette of marzipan or buttercream frosting (yum) adorned with beautiful red florals and some festive berries are our jam (get it, jam, berries, ok we digress). This concept will allow you to elegantly incorporate the season’s vibe into your special day without going too over the top. Does your holiday party need a little something extra? 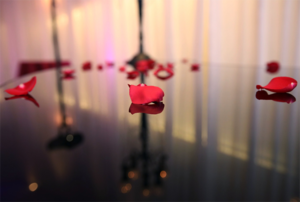 Spreading white and red flower petals on an open bar or table is a great way to tie in Holiday spirit when needed. This simple piece of décor can transform a plain space into something special in a matter of seconds and its great for every budget. The most important piece of advice when planning your Holiday party is to have fun and enjoy! Soak in the time spent with loved ones and fill the day with lots of laughter and joy. 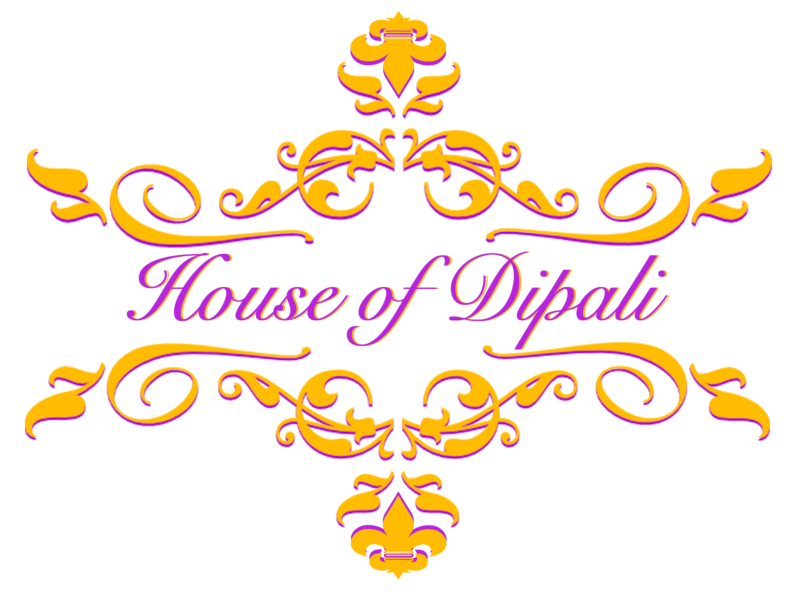 If decorating for the Holidays seems too overwhelming always remember House of Dipali specializes in creating a unique setting for any event you are having. We would love to help you fill the holidays with love by creating amazing festive décor special for your event!